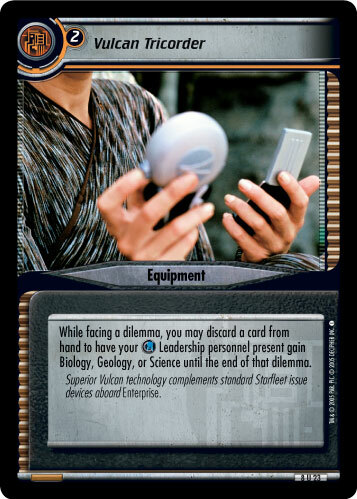 While facing a dilemma, you may discard a card from hand to have your Leadership personnel present gain Biology, Geology, or Science until the end of that dilemma. 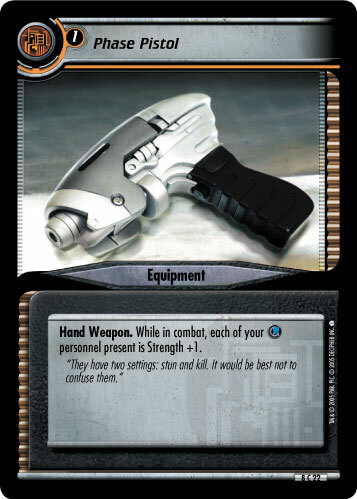 Superior Vulcan technology complements standard Starfleet issue devices aboard Enterprise. 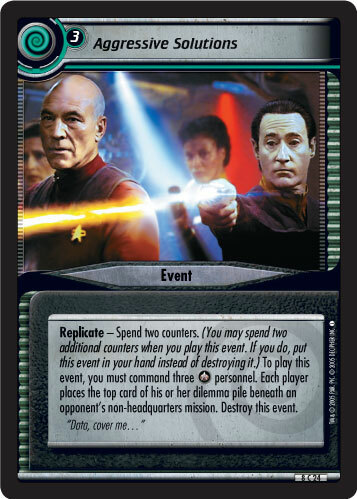 Image Source: Enterprise: "Strange New World"